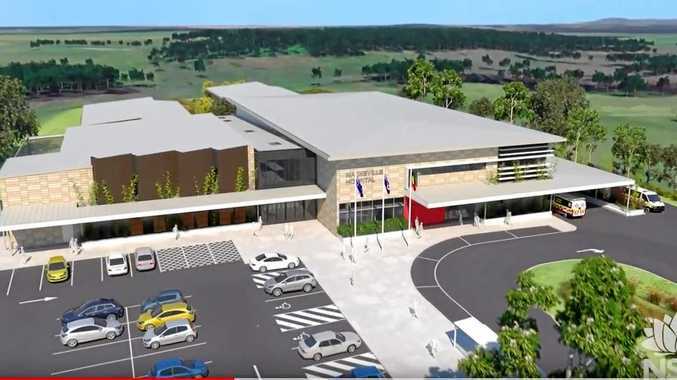 MACKSVILLE residents have today been given a long-awaited glimpse of how the new $73 million Macksville Hospital will look, with the NSW Government releasing the first artist impressions of the building's exterior. Member for Oxley, Melinda Pavey, is visiting the site today to unveil the designs and participate in a smoking ceremony in preparation for works commencing onsite at the end of the month. Macksville Hospital flyover: The NSW Government has today released artists impressions of the new Macksville Hospital. "This marks a momentous occasion - the end of a hard fought campaign to get the Nambucca Valley the health facilities it deserves, and the first stage of what is soon to be bricks and mortar," Ms Pavey said. "I'm particularly proud that we are able to deliver a 'greenfield site' - which will provide a modern, purpose-built facility providing contemporary health services to the people of the Nambucca Valley and the broader region. "The new hospital, three kilometres north of the Macksville town centre, is designed quite literally from the ground up to meet the community's needs." Once complete, the hospital will enhance patient care and improve ambulatory care and outpatient treatments. The project scope also includes an emergency department, inpatient units, operating theatres, maternity services and community and allied health facilities. 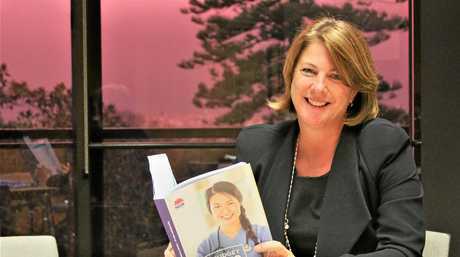 "In tandem with community consultation, real thought has been put into how to optimise the hospital's ambience making for better patient health and a pleasant place to work," Ms Pavey said. Member for Oxley Melinda Pavey. "The energy-efficient building is designed to look out over the Valley and is an example of quality architecture. There will be 150 parking spaces, three times as many as the current hospital, and it will be free for patients, family, friends and staff. "The Macksville Hospital was an election commitment I made to the people of the Nambucca Shire - a health facility which will provide a modern, purpose-built contemporary health service to locals and the broader region. "Simply, this project will bring our hospital and health care into the 21st century, and it follows the opening of the Kempsey Hospital redevelopment."